Writing a good resume can be a tough and time-consuming process for most people. This statement is especially true when it comes to creating an effective resume for a remote work opportunity. Most remote workers find it hard to develop an outstanding resume due to various reasons. It could be fear of failure, lack of effective writing skills, or the poor research they’ve done on the company they’re looking to join. To land the perfect job position as a remote worker, you’ll need to bring complexity to the table. 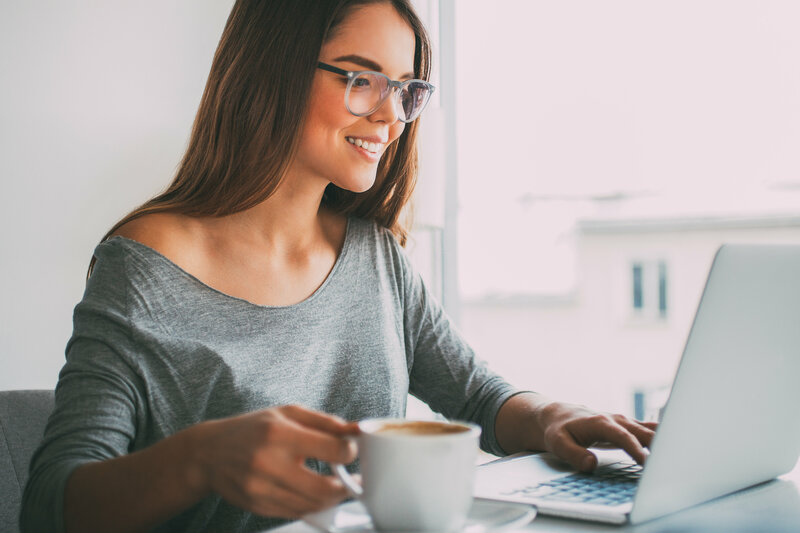 In today’s post, we’re approaching several strategies and tips that’ll help you create an amazing resume as a remote worker. Moreover, you must also acknowledge and understand that recruiters won’t spent much time reading your resume. Therefore, you’d better keep it short, concise, and truly relevant. Also, choose a professional and readable font type and size. The recommended ones are Arial and Calibri at 10.5 or 12 size value. Some would say that you should add you address too, but since you’re a remote worker it would have no relevance. The URLs you provide are similar to your extra-work portfolio. Putting them in the contact information section is the best way to direct the recruiter to your best work. Janice Fardel, the HR manager at one of the top rated resume writing services , notes that “Most remote workers find it hard to decide which information they should present at the beginning of their resumes. If you’re in that position, you should strive to capture your recruiter’s attention by telling a meaningful story, by stating interesting things, or by simply displaying your unique traits. Therefore, to develop an inspirational resume, you should first ensure that you’re being truly relevant and interesting to the interviewer while introducing your personality, knowledge, and skills. The recruiter will spend approximately 6 seconds to scan your resume and he will start from the top. So, if you don’t catch his attention, your chances are gone. The body of your resume should begin with the experience section, where you should list, in a chronological way, all your job history, starting with the beginning and ending with your actual position, and all your relevant professional achievements. For each job you had, you should provide further information. See here how. If you want to increase your chances of getting called for an interview, you should dedicate an entire section to your personal and professional skills. You should only include the skills that are truly relevant to the job position you’re applying for. Besides skills, let the employer know what makes you a unique and valuable employee. Display your most powerful traits and tell why they should choose you instead of other candidates. Tailoring your resume about researching the company you’re applying to, understanding their requirements and expectations, and tailoring your resume according to your specific job role in that company. Why is this necessary? Well, imagine that a job offer may attract hundreds of candidates and with so many resumes to read, recruiters use Applicant Tracking System software. This software takes your resume and compares it according to the job description and specific keywords. So, if you want your resume to pass the ATS software, you’d better tailor it well. Sending a resume full of misspelled words and grammar issues will only prove your lack of professionalism. Therefore, you’d better check it twice, use proofreading tools like Grammarly and Language Tool , or simply ask someone else to check it over. Keep in mind that a truly good resume requires your full attention, focus, and time. Take our tips into consideration, contemplate on them, and most importantly, apply them whenever you write your next resume.